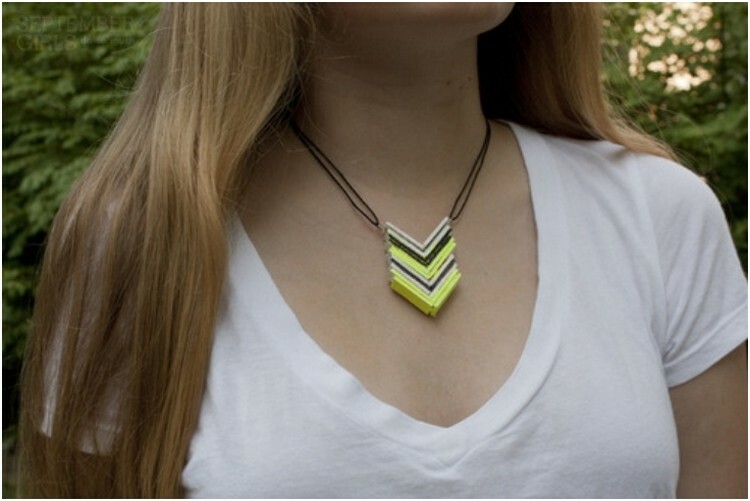 Many of you have not heard about creating jewelry from Popsicle sticks. 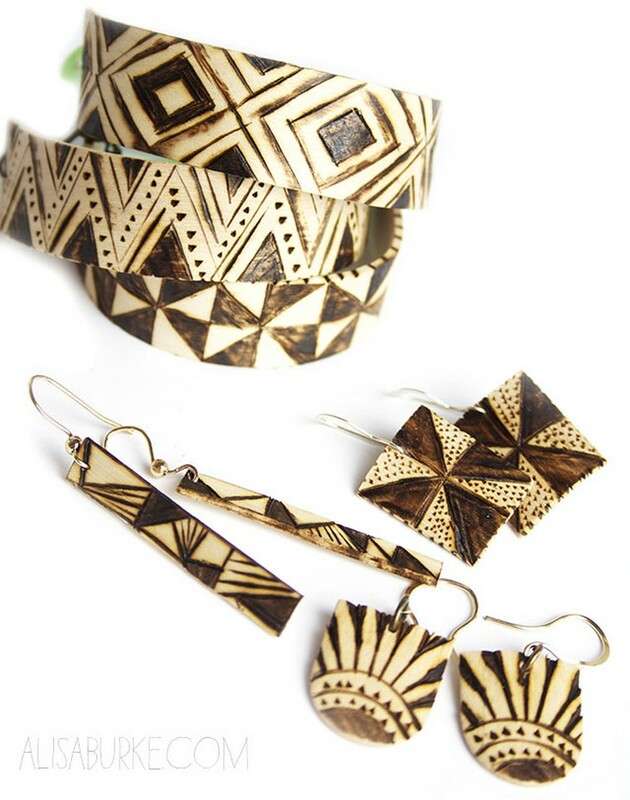 Popsicle sticks are very useful and they can be used to make various crafts but today we will present you some of our latest Popsicle stick jewelry ideas which you will not just love but also try to make one also. There is no need to spend a lot of money on jewelry when you can make one by yourself at home. 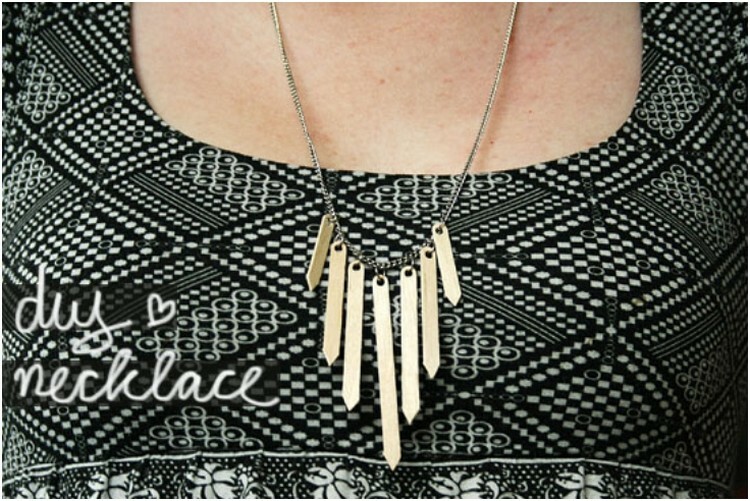 These designs are so simple and easy to make that each one of you can make these Popsicle stick jewelry in next to no time. WHAT AN AMAZING CRAFT THIS IS! This is something you will love it. 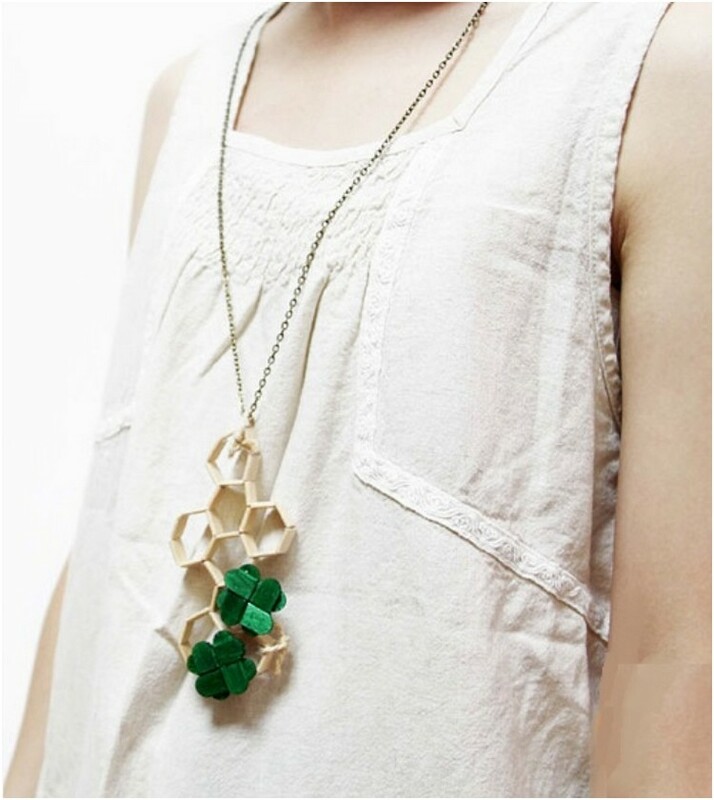 We have made a Popsicle sticks necklace. It seems that it is tough to make but let me tell you something that it is not hard to make. Just collect some Popsicle sticks and then paint them with different colors. Place them in this style and then join these Popsicle sticks with a chain. Simple! 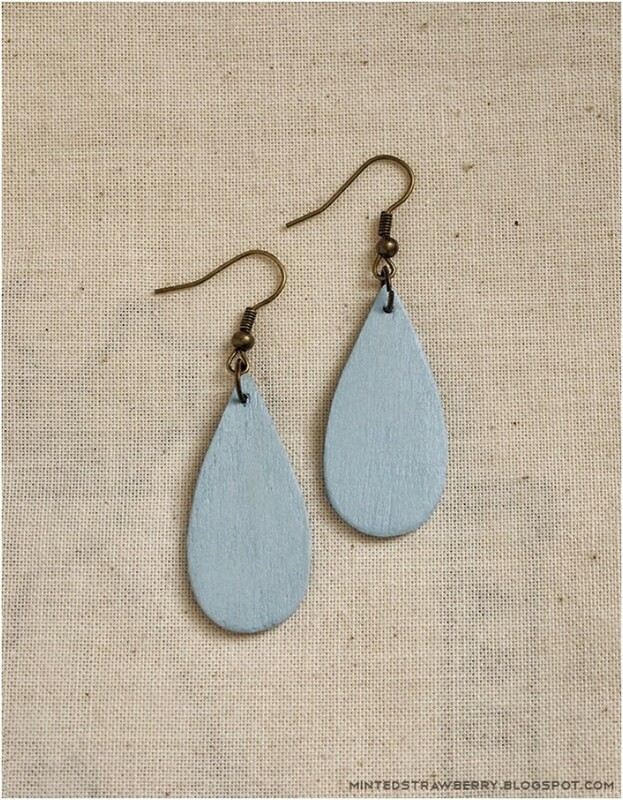 We have created earrings from Popsicle sticks. Isn’t it a creative and innovative idea? You will only need two Popsicle sticks and then cut them in this shape. 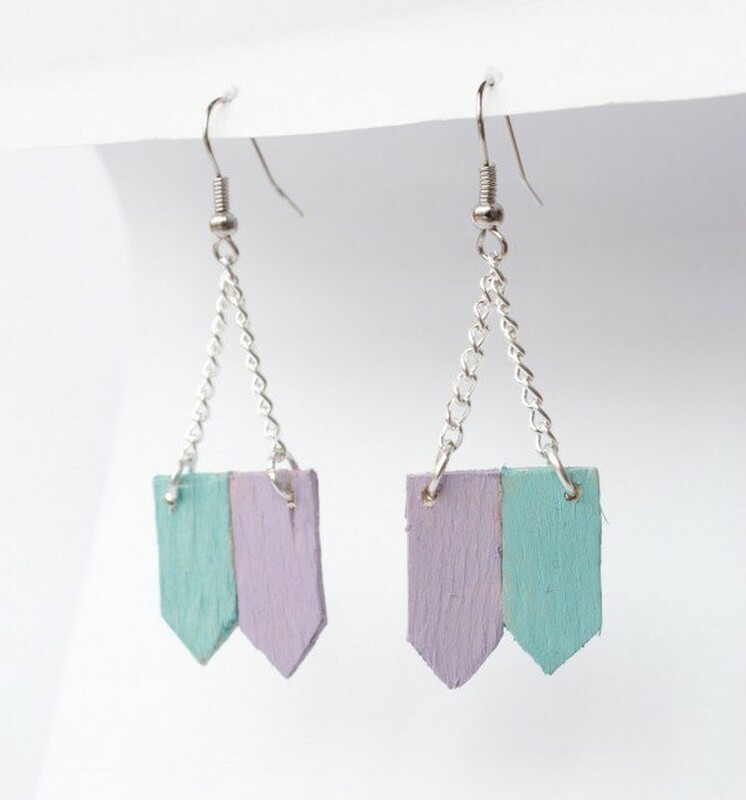 Attach little chains and hooks then your own handmade Popsicle sticks earrings will be ready! 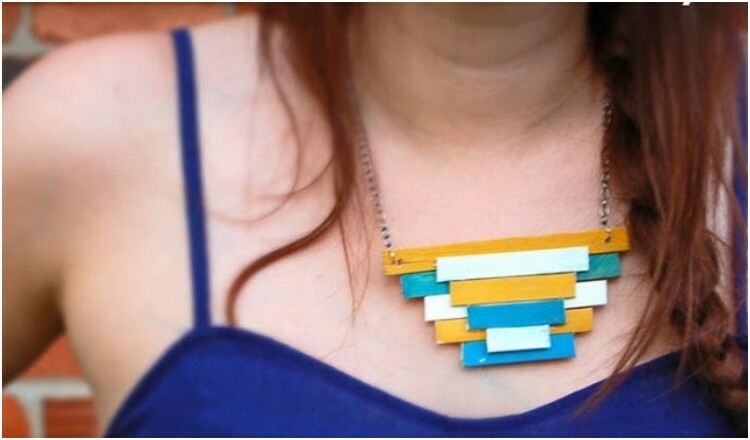 This is quite an awesome and stylish design of Popsicle sticks necklace. Collect some Popsicle sticks and then cut them and arrange them in the shape of a pendent we have shown. After that you will only need a black thread to make it a necklace. 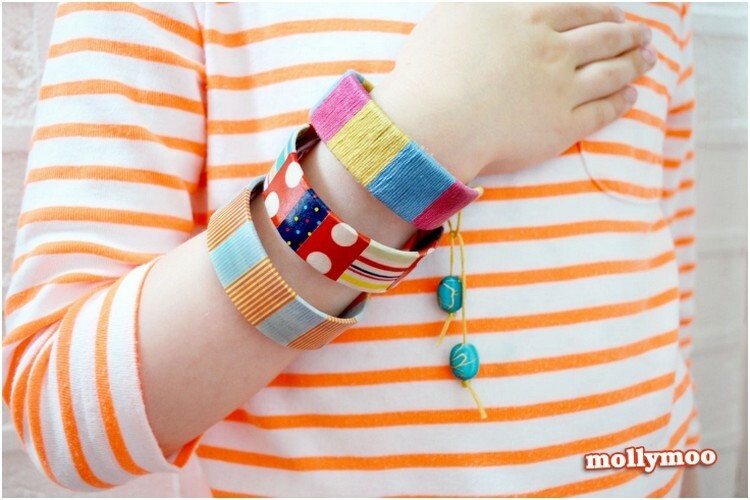 This Popsicle sticks bracelet is so awesome and if you are a teenager then this Popsicle sticks bracelet is a must for you. You can use this bracelet as a style symbol or can use it on any party. 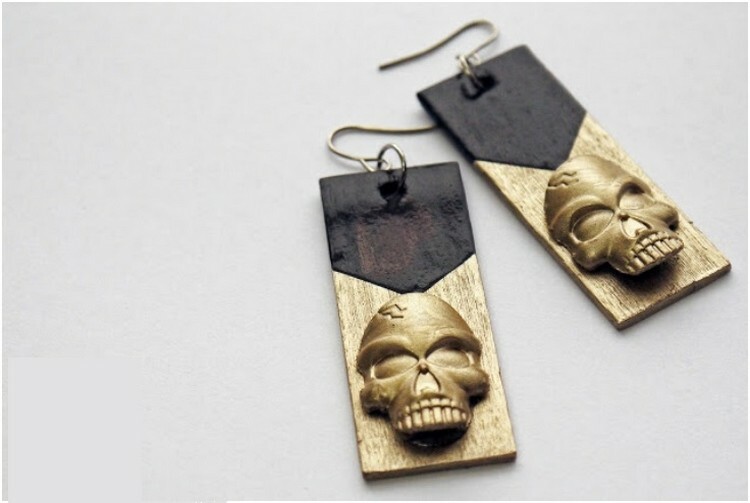 These are simple earrings from Popsicle sticks. You will just have to cut the Popsicle sticks in the shape of your choice and then add hooks. Simple!